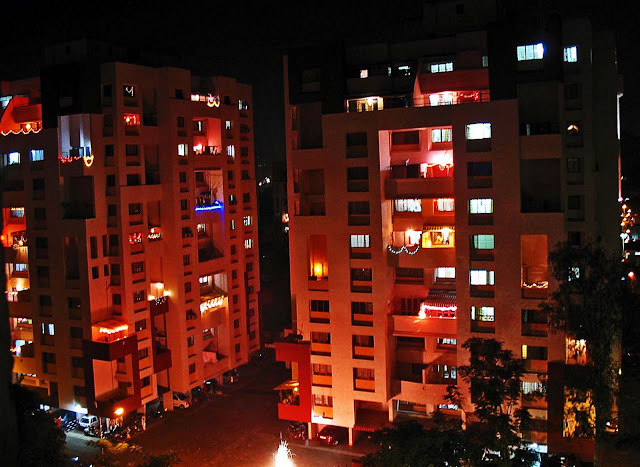 These are a few photographs of Indian cities during the festival of Diwali. Diwali is the most important festival in India. 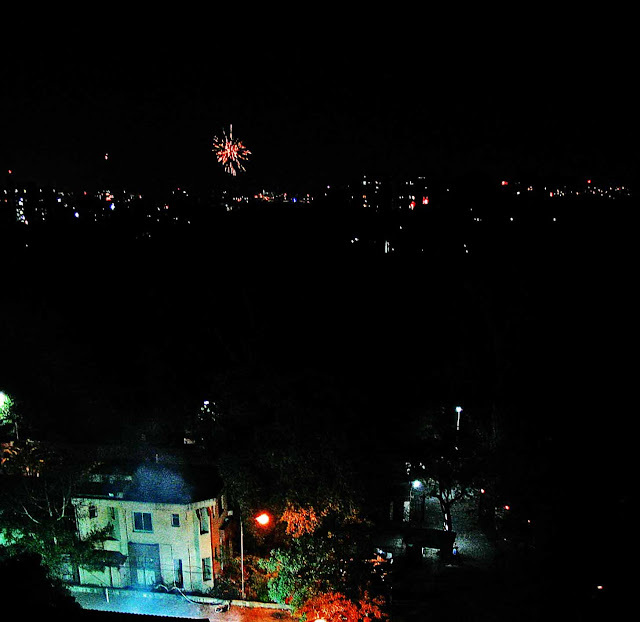 It is the Festival of Lights, although nowadays people have turned it into a festival of noise by bursting crackers. 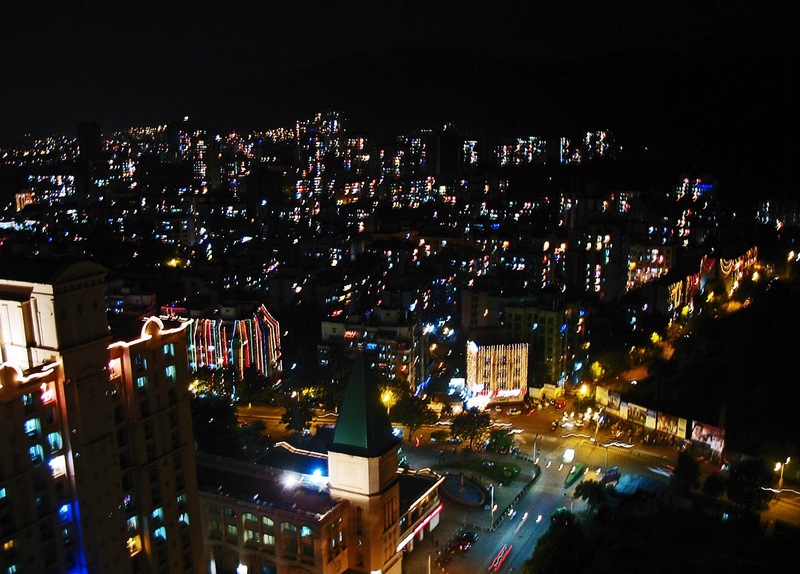 The lights make the cities look bright, colourful, happy and quite beautiful. The first picture shows tall buildings in the distance, all lit up with electric lights of different colors. In the foreground you can see a brightly lit crossing and some residential buildings. 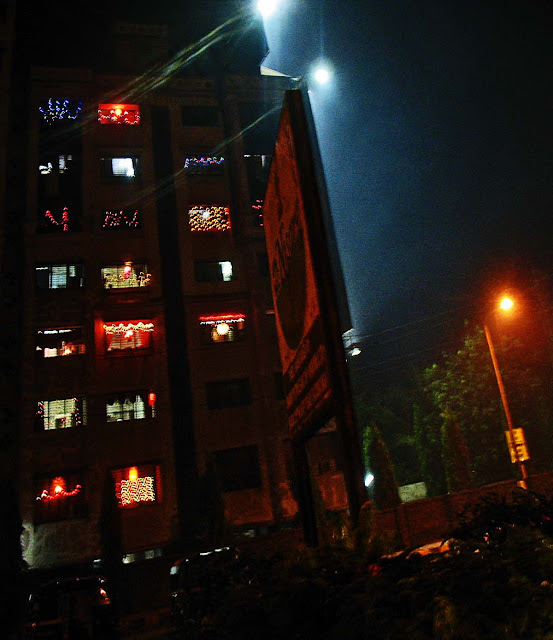 This is another photograph of an apartment building shining with Diwali lights of different hues and decorations. 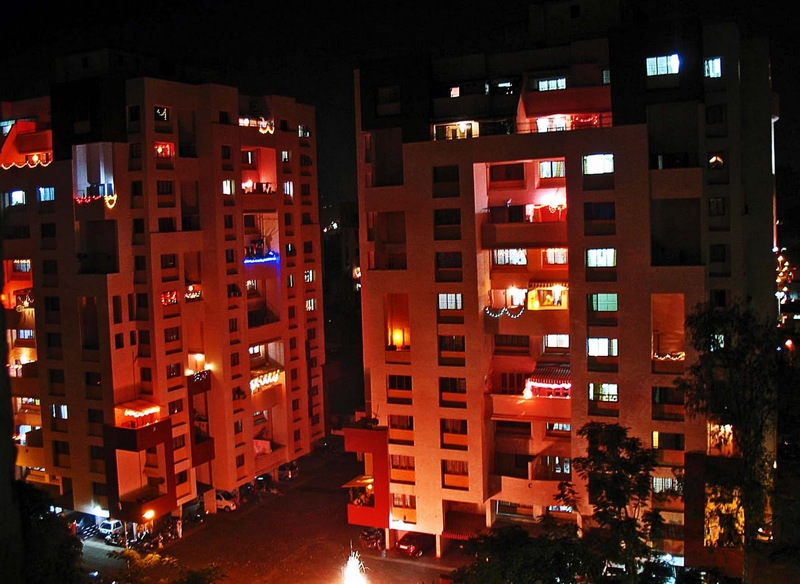 The two buildings below show the lighted apartment buildings aglow with Diwali lighting. The apartments which are empty have no lights. A fair amount of detail can be seen in the photos, including parked cars and two-wheelers. 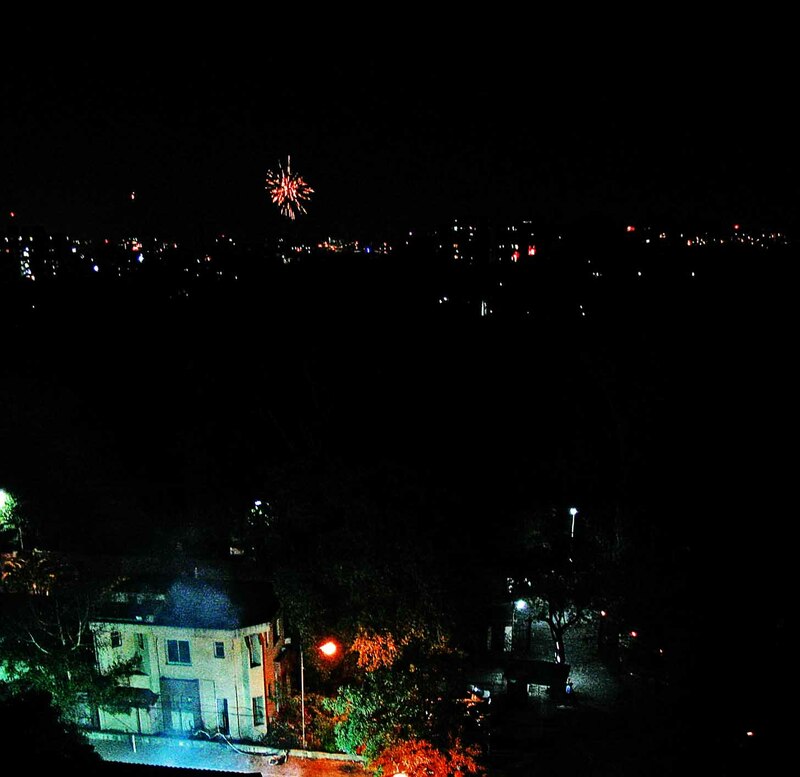 In this photo you can see the firecrackers light up the city in the distance. In the foreground firecrackers are being burst as well, in the apartment complex. The dark area in the middle has trees, and therefore no lights. Or check out Diwali Air Pollution image.